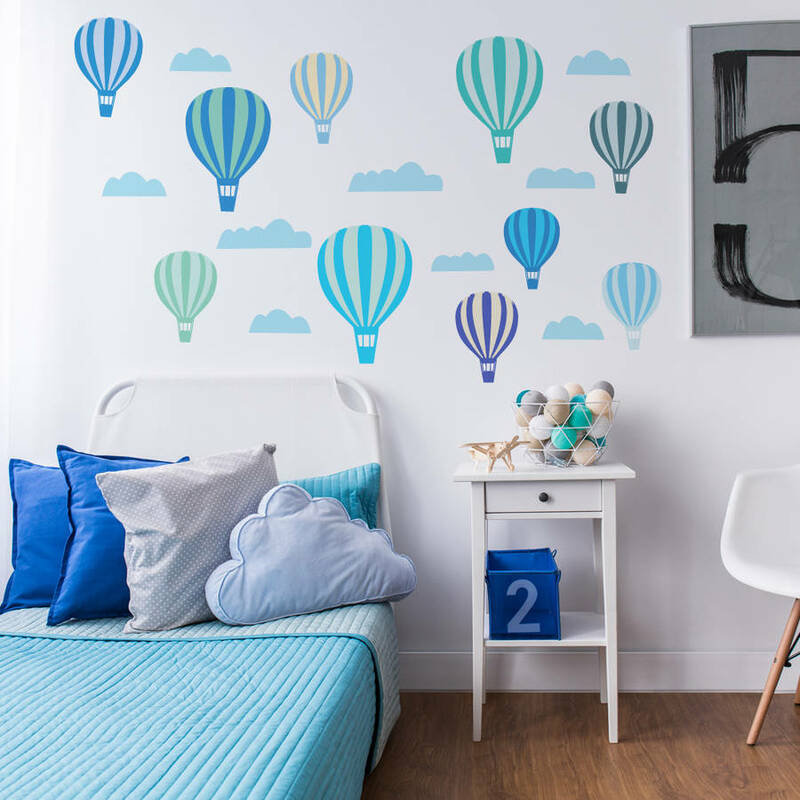 Lovely pastel classic hot air balloons with clouds wall stickers. These classic hot air balloon wall stickers are super easy to install and will transform a childs wall in minutes. Simply peel and stick to install. These wall stickers can also be repositioned and as they are made from premium matte vinyl can be wiped clean so great for children of all ages. The pastel shades are right on trend and will suit many interiors. Images in order shown are, pink theme, blue theme, classic theme, neutral theme. Includes 8 x clouds, 10 hot air balloons largest balloon 24cm (h).